Following on from previous articles about dogs attacking other dogs and dogs biting adults this post focuses on advice to help you avoid the most catastrophic situation of all: when a dog bites a child. In such cases, when a shelter dog, or a dog you have owned from a puppy, bites a child, there are few alternatives we consider other than euthanasia. Once a dog bites a human, a line has been crossed. As adults, we can reasonably ensure we can avoid such situations again in many circumstances. But when a dog has bitten a child, we may feel we have no other option than to destroy the dog. This is not to say that dogs who end up at the refuge having bitten a child are dogs that we euthanise: we take reasonable precautions in alerting new owners and insisting on homes where the dog will have the most limited of contact with children. We have had many successes in rehoming dogs who have been bitten because their new families understand exactly what has happened and have worked to retrain the dog. Hopus is one such example. 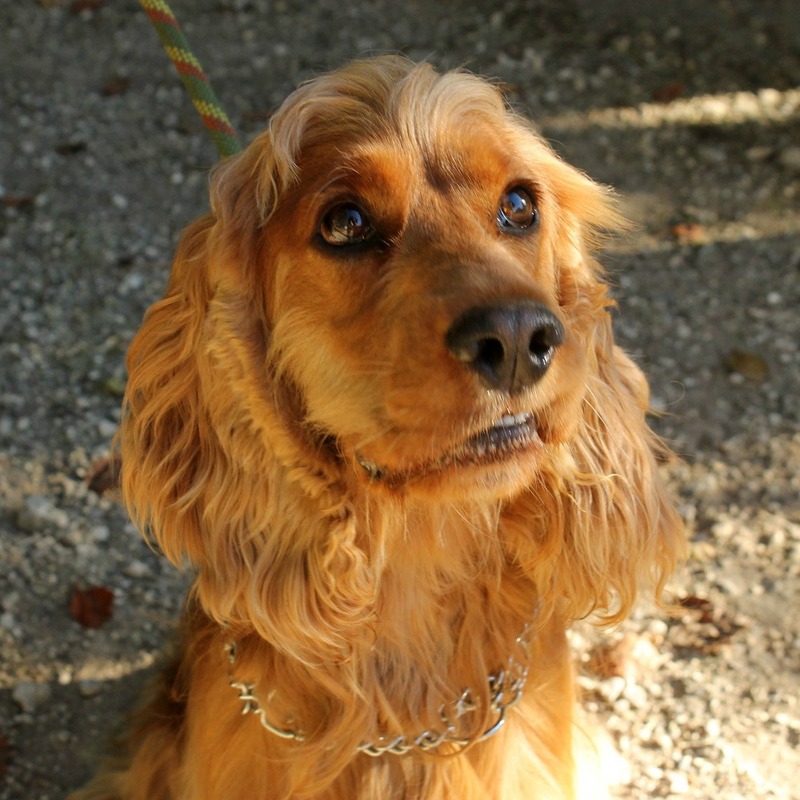 A young spaniel, he had been taken to the vet to be euthanised. The vet thought the dog would not bite in other circumstances and performed a series of bite tests. Once the vet was happy that Hopus had some bite inhibition, we were able to offer him for adoption. He had a few moments of aggressive behaviour with other dogs in his new home, but his new owner, in a home without any children, was happy to re-train him. Over a year later and he is very settled. It took considerable faith and commitment from his new family to overcome a very serious problem and he is lucky to be alive. But how does a dog like Hopus go for two years without biting and then suddenly snap? Once we heard the story, it was easy to say with hindsight why this happened. A breed bought as a family dog that is still very much a field dog in need of exercise, young children, lack of respect for dogs, a dog who was two years old and had not had enough exercise or training, had never really been taught to inhibit his bites, mums who are busy being mums and not having enough time to focus on being dog owners… It’s a ticklist of circumstances that describes almost exactly every dog brought to the refuge because it’s bitten a child. Fritzou was another dog adopted from the refuge who was brought back for biting a child. A nine year old terrier, he had been brought back to the refuge after a short time because he had bitten a child who had disturbed him in his bed. Now he is very happy with a lovely couple who understand that when Fritzou is asleep, he doesn’t like to be disturbed. You can see the pattern… a dog bred for working with its mouth, young children, busy mums… add grumbly old age to the mix and you can understand why we say you should let sleeping dogs lie. All very well in retrospect! So what can you do to make your home as safe as possible? How can dogs and children live harmoniously? First is in your choice of dog. Some dogs are recorded as high-frequency biters because there are a lot of them. Forget about what you believe about labradors being great family dogs- they’re on the bite list. They are also many countries’ most popular breed, though, which accounts for the numbers. Little dogs are not exempt: spitz, minpins and chihuahuas can have a real temper. Collies and heelers are prone to herding and nipping: I saw an Australian Shepherd nipping at a child’s feet last summer – the child was laughing and I was horrified. Cockers are known for their furious tempers – a fault of in-breeding. Malinois and GSDs are also on the list. Molosser breeds, rottweilers and dobies are on the list too. And although a little dog may seem like a great idea, many have not been sufficiently bite-proofed simply because they are small and their owners find it less important than you would if you owned a rottie. The second thing to consider is the dog’s nature and age. Young dogs can be hugely tolerant of grabby hands, but as they age, they may snap when they never have before. A fearful dog is more likely to bite as well. Believe it or not, many dogs are scared of children if they have never been socialised with children. Only last week a griffon froze under a tree and couldn’t be moved. The problem? He was being walked by a lady with children and he’d got spooked. He came out as soon as the children had gone. And they were great children – gentle and sensible. Being small can be freaky to a dog. Once you have picked a dog that is right for your children, it’s time to ensure your children have great manners around dogs. 77% of bites come from a dog that is known to the person it bites: it’s not strange dogs that you have to be worried about around your children. Before getting a new dog, even if your children are familiar with dogs, please go through the ground-rules with them. We don’t disturb sleeping dogs. We don’t go in dogs’ beds and we don’t invade their space. We don’t corner dogs and we always make sure they have plenty of space. We don’t disturb dogs when they are eating. We never interrupt them if they have a treat. We don’t hug dogs, even if they let us. We don’t encourage them to jump up by waving our hands about. We don’t pick dogs up. We don’t take the dog’s things off them. We don’t discipline dogs, smack them, shout at them or tell them off. We don’t yell at dogs or frighten them with loud voices. If children follow these basic rules, you will find that the situations which drive dogs to bite are minimised. Preventing dog bites is the one thing all parents should put at the top of their agenda, and making sure dogs and kids feel happy around one another is the best way to ensure that. If only everybody spent a little time at the beginning of their doggie relationship giving space rather than cuddles, giving boundaries and foundations rather than kisses and giving dogs time to adjust, far fewer dogs would be returned to the refuge under the black cloud of being a biter. The sad fact is that most people choose to euthanise a healthy dog that may never bite ever again simply because they did not take adequate advice from the shelter about which dogs would make good family pets and because they did not dog-proof their children. There are seven million dogs in France, and every single one of them is capable of biting under the ‘perfect storm’ of circumstances. As the American Veterinary Medical Association say: “the majority of bites, if not all, are preventable.” Most dog bites involve children. Most dog bites involve a familiar dog. Most dog bites involve everyday interaction between children and dogs. It is up to us as owners to make sure that children understand the boundaries that dogs have. There is nothing more frustrating than listening to someone recounting events when returning a dog knowing that the bite was entirely preventable. There is also nothing more frustrating than seeing parents take risks with their children’s lives and health. By being proactive, parents can ensure their children are safe around dogs and that their dogs are safe around children. It is better never to cross that line than constantly test it – as it is a line that, once crossed, can never be uncrossed.